Poly-Lam™ coated, baked-enamel, pool wall. 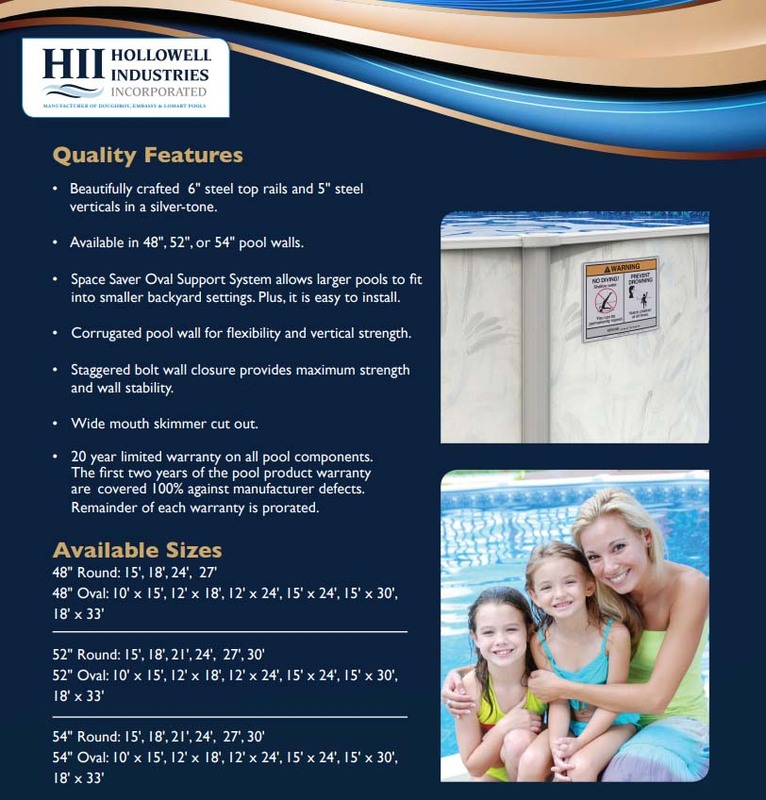 Corrugated steel pool wall for flexibility and vertical strength. Hollowell Industries backs their products with generous warranties and consumer service policies. 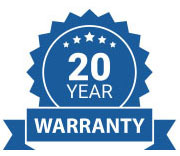 The first 2 years of our pool warranty is covered 100% against manufacturer defects (the remainder of each warranty is prorated). Bottom rails receive a Lifetime 100% warranty. Pool & Frame – 20 year limited. All Pools are shipped by common carrier freight truck. This delivery is a curbside delivery only. All Pools are NON RETURNABLE for any reason. Missing or damaged items will gladly be replaced. Do You Need Any Help Designing A Pool Package? 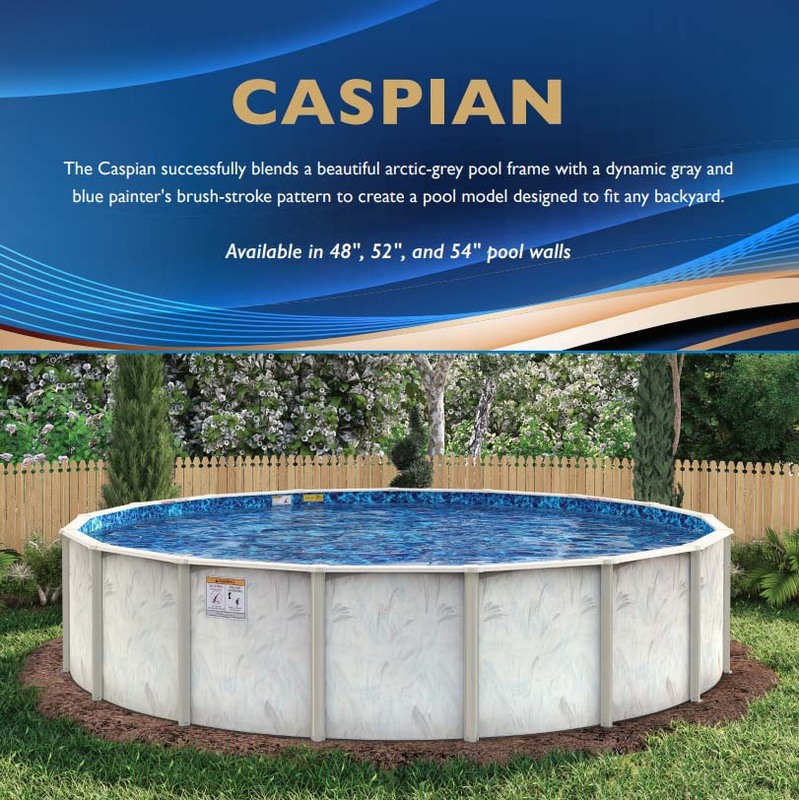 Click the button below to add the Caspian Galvanized Steel Pool - 6" Top Seat - 48", 52" & 54" Deep to your wish list.